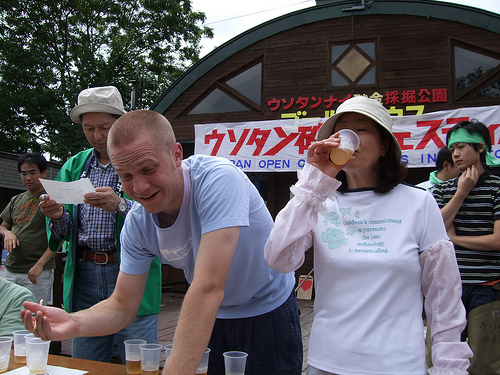 This entry was posted in Post and tagged beer, Enkai, Festival, Taiko. Bookmark the permalink. Still laughing!! I LOVE YOUR BLOG~~ This is so wonderful!!! So many wonderful things happening to you! Loved that you went to Club Sonic! Did you tell those folks that you took Sumo lessons at Nishimachi!!! Do they have Ikebana tournaments?? Maybe you could impress them with your Ikebana skills!!! I am going to link you up with my email for the Tokyoites! They will love it!! Miss you tons!! Went to Bass Lake with Aunt Carla and Grandma and Grandpa for a few days-it was fun to be there!!!! I am doing my blog tomorrow night-will send it to you! Great job! I am proud of you. Can’t wait for your next posting. very funny. it all sounds very familiar to me. Hey Charlie! I LOVED reading your blog via your mom, PP (Pitty Pat, my nickname for her!)! I know a family who just moved to Tokyo and the girls, K and 3rd grade, just started at NIS! Such great memories of the Danoff family, especially your mom and I performing with the NIS Family Singers! Good for you going back to Japan! Enjoy your time there and I shall live vicariously through you! Fondly, Carole Marcum, aka, Scarlett the Harlot from Charlotte and Mama Marcum and mother of Michael and Caroline! Great Blog-It makes me “natsukashi” for the old homeland. Fond memories of our times together when you young men were all little! I look forward to reading your adventures~Domo Domo! 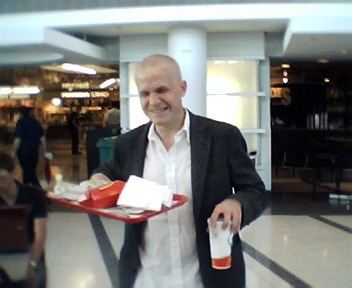 Charlie, remember, the force is with you…… always, especially after a strong dose of saki. Great blog charlie! Thanks for not griping about how I accidentally had to stand you up when the subway flooded out! Still sorry about that! Anyways, I really wish I could have stuck around for the Bon Odori! 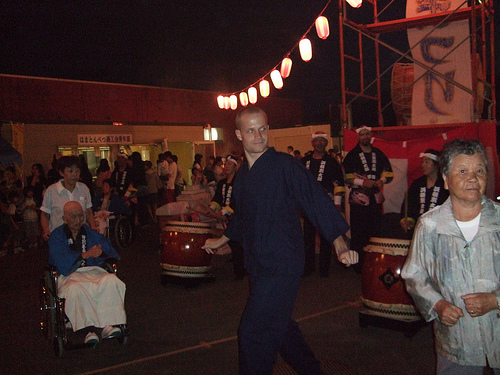 And the matsuri at the Seifuen Old Folks home. Can’t wait for more updates and pictures! Hope you stick with taiko and just ignore Mouri-san when he starts harping about your arms not being straight enough or something like that. =p Tell him Theresa says he has to be ‘yasashi’ to you or else! But really, stick with it and it will totally be worth it. Talk to you soon!